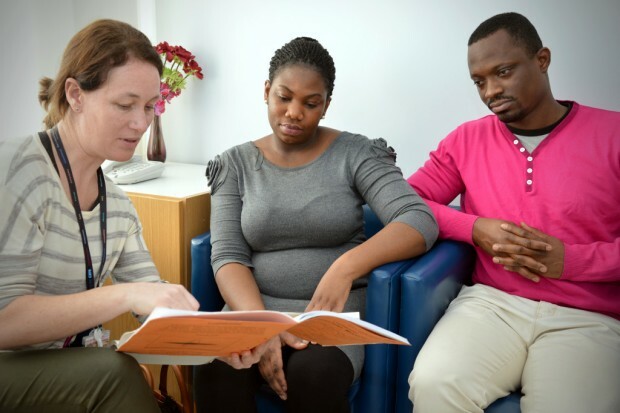 We, the sickle cell and thalassaemia (SCT) screening programme, are launching an exciting new project which aims to engage the public and service users. This will help improve how we deliver screening for sickle cell and thalassaemia. Antenatal screening for SCT aims to identify people who are genetic carriers of these and other haemoglobin disorders (conditions that affect red blood cells). When a pregnant woman is found to be a carrier, the baby’s father is offered the same test. This is because if both the mother and father of a baby are carriers of a haemoglobin disorder, the baby can inherit it. If both parents are carriers, counselling and diagnostic tests are offered to see if the baby has a condition. If it is found that the baby does have a condition, the parents can then choose whether to continue with the pregnancy or have a termination. The SCT programme aims for pregnant women to have completed antenatal screening by 10 weeks of pregnancy and diagnostic tests to be performed before 12 weeks + 6 days. As you can see, the data shows variability in service. We want to find out if this is down to people exercising a choice or if it’s problems in service delivery. To help us do this, we’re going to be working closely with the sickle cell and UK thalassaemia societies (who have experience engaging with service users) and screening quality assurance colleagues to identify volunteer trusts to work with, particularly those in high prevalence areas. We hope to raise awareness about the benefits of early antenatal screening, such as early counselling for couples with positive results. It is important to give parents knowledge and time to reflect and make an informed choice about their pregnancy. While many trusts encourage pregnant women to arrange their booking appointment before 10 weeks, there are still some trusts that only offer the appointment from 12 weeks to allow fetal anomaly screening to be done at the same time. However, this means that pregnant women can be rushed into making decisions about SCT screening before they can absorb the information given. The SCT programme would like to take this opportunity to encourage trusts to offer all pregnant women antenatal screening for SCT by 10 weeks. We’d also like to congratulate the many trusts already achieving this and those taking the necessary steps to improve performance.